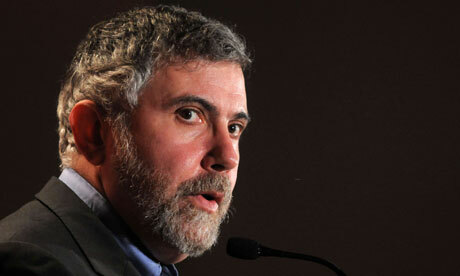 The Article: Reform Turns Real by Paul Krugman in The New York Times. The Text: At this point, the crisis in American governance has taken on a life of its own. Some Republicans are now saying openly that they want concessions in return for reopening the government and avoiding default, not because they have any specific policy goals in mind, but simply because they don’t want to feel “disrespected.” And no endgame is in sight. But this confrontation did start with a real issue: Republican efforts to stop Obamacare from going into effect. It’s long been clear that the great fear of the Republican Party was not that health reform would fail, but that it would succeed. And developments since Tuesday, when the exchanges on which individuals will buy health insurance opened for business, strongly suggest that their worst fears will indeed be realized: This thing is going to work. Wait a minute, some readers are saying. Haven’t many stories so far been of computer glitches, of people confronting screens telling them that servers are busy and that they should try again later? Indeed, they have. But everyone knowledgeable about the process always expected some teething problems, and the nature of this week’s problems has actually been hugely encouraging for supporters of the program. First, let me say a word about the underlying irrelevance of start-up troubles for new government programs. Political reporting in America, especially but not only on TV, tends to be focused on the play-by-play. Who won today’s news cycle? And, to be fair, this sort of thing may matter during the final days of an election. But Obamacare isn’t up for a popular referendum, or a revote of any kind. It’s the law, and it’s going into effect. Its future will depend on how it works over the next few years, not the next few weeks. To illustrate the point, consider Medicare Part D, the drug benefit, which went into effect in 2006. It had what was widely considered a disastrous start, with seniors unclear on their benefits, pharmacies often refusing to honor valid claims, computer problems, and more. In the end, however, the program delivered lasting benefits, and woe unto any politician proposing that it be rolled back. So the glitches of October won’t matter in the long run. But why are they actually encouraging? Because they appear, for the most part, to be the result of the sheer volume of traffic, which has been much heavier than expected. And this means that one big worry of Obamacare supporters — that not enough people knew about the program, so that many eligible Americans would fail to sign up — is receding fast. What we still don’t know, and is crucial for the program’s longer-term success, is who will sign up. Will there be enough young, healthy enrollees to provide a favorable risk pool and keep premiums relatively low? Bear in mind that conservative groups have been spending heavily — and making some seriously creepy ads — in an effort to dissuade young people from signing up for insurance. Nonetheless, insurance companies are betting that young people will, in fact, sign up, as shown by the unexpectedly low premiums they’re offering for next year. And the insurers are probably right. To see why anti-Obamacare messaging is probably doomed to fail, think about whom we’re talking about here. That is, who are the healthy uninsured individuals the program needs to reach? Well, they’re by and large not affluent, because affluent young people tend to get jobs with health coverage. And they’re disproportionately nonwhite. In other words, to get a description of the typical person Obamacare needs to enroll, just take the description of a typical Tea Party member or Fox News viewer — older, affluent, white — and put a “not” in front of each characteristic. These are people the right-wing message machine is not set up to talk to, but who can be reached through many of the same channels, from ads on Spanish-language media to celebrity tweets, that turned out Obama voters last year. I have to admit, I find the image of hard-line conservatives defeated by an army of tweeting celebrities highly attractive; but it’s also realistic. Enrollment is probably going to be just fine. So Obamacare is off to a good start, with even the bad news being really good news for the program’s future. We’re not quite there yet, but more and more, it looks as if health reform is here to stay.